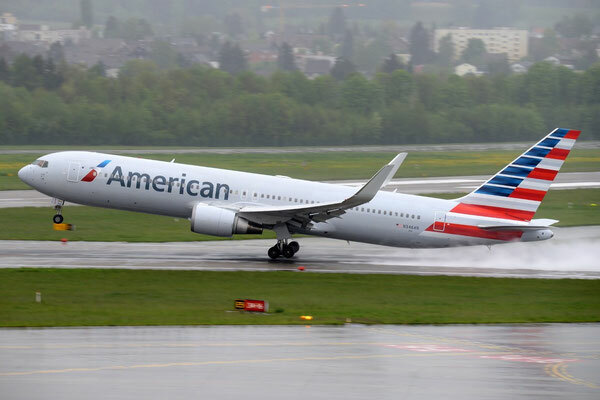 American Airlines has commenced serving the route Chicago-Dusseldorf again by operating a Boeing 767 passenger jet. The flights originally started in 2013 but were limited to the summer season only. Now there are some hopes by Dusseldorf’s cargo managers that the restarted transatlantic link will be offered by the U.S. airline all year round. 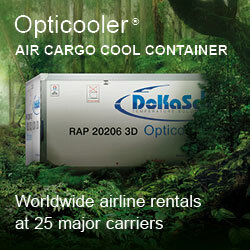 ´Viewed from the cargo perspective the daily serviced Dusseldorf-Chicago route is highly attractive. American Airlines’ Boeing 767 can uplift 10 to 12 tons each flight, depending on the volumes of passenger luggage. “Dusseldorf and the surrounding region of North Rhine-Westphalia State are not only highly industrialized where lots of exports are constantly produced but are an attractive consumer market as well due to their 18 million inhabitants,” states Thomas Schuermann, Manager Marketing & Sales at Dusseldorf Airport Cargo. Having said this he points out that import and export volumes are more or less balanced, contributing recognizably to AA’s revenues. “Chicago is a much requested destination from the local industry’s point of view,” Thomas notes. He adds to this that his airport’s catchment area includes parts of The Netherlands and Belgium. “Near the Dutch-German border there are many distribution centers located, thus contributing largely and stimulating the constant flow of air freight.” Export-wise it is mostly car parts, machines and their components, chemical products and pharmaceutical goods processed via DUS to ORD and beyond. What makes the AA service particular attractive from the shipper’s and forwarder’s point of view is the dense domestic network offered by the U.S. carrier. Therefore, goods arriving at Chicago are transited quite fast to be flown in the holds of the AA fleet to their final destination within the U.S. or even to Canada. 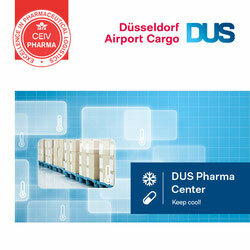 As far as imports are concerned there are mostly pharmaceutical products arriving at DUS but also equipment, foodstuffs and different perishables. Both imports and exports flown on board American Airlines’ Boeing 767s are handled by Dusseldorf Airport Cargo, the ground handling unit of DUS. “The daily flights operated by AA surely enrich our cargo business,” notes Thomas, making DUS even more attractive for air transports to and from North America. In addition to AA there are three more airlines offering transatlantic services, connecting DUS with U.S. destinations: Delta, Air Berlin and Lufthansa. “We are very happy that we can offer passengers and also our cargo clients a very dense route network across the North Atlantic,” states Thomas. For example, this includes daily LH flights to Newark and 6 weekly frequencies to Chicago by Airbus A340, thus competing directly with AA on this specific route. Daily services to Atlanta operated by Delta as well as daily Air Berlin flights to New York (JFK), Miami, Los Angeles (6/7) as well as landings at Fort Lauderdale and Fort Meyers complement the route map offered by DUS. Also in the opposite geographical direction things keep on developing seen by Cathay’s announcement to commence flying from Hong Kong to Dusseldorf and back four times a week as of 1st September. So far it has not been decided by the airline if DUS Airport Cargo shall handle their shipments or one of the competing ground service providers.